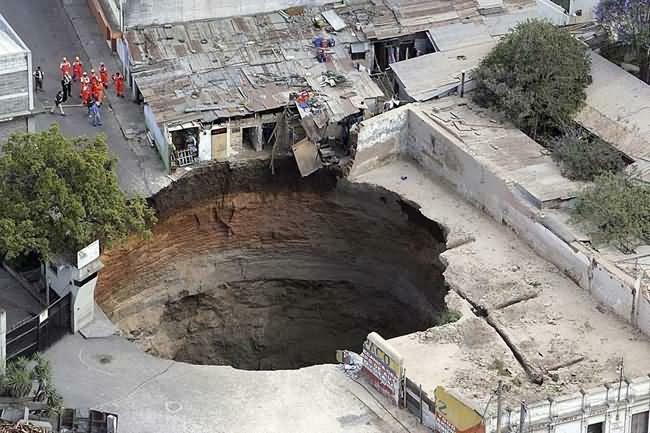 Sinkhole??? 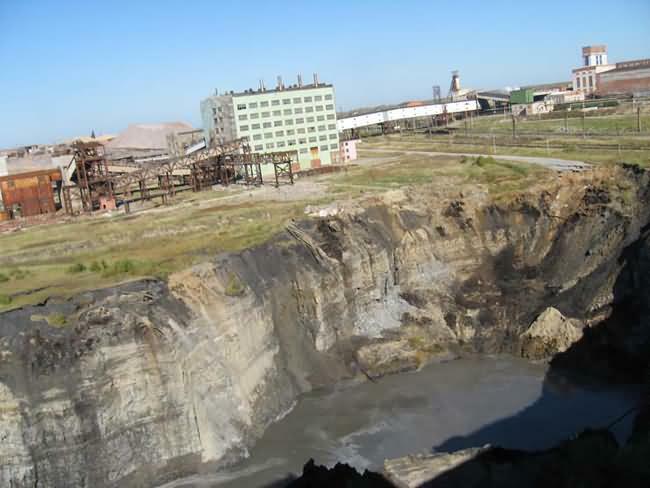 It is just what it sounds like, a natural depression or hole in the surface topography caused by the removal of soil or bedrock, often both, by water. 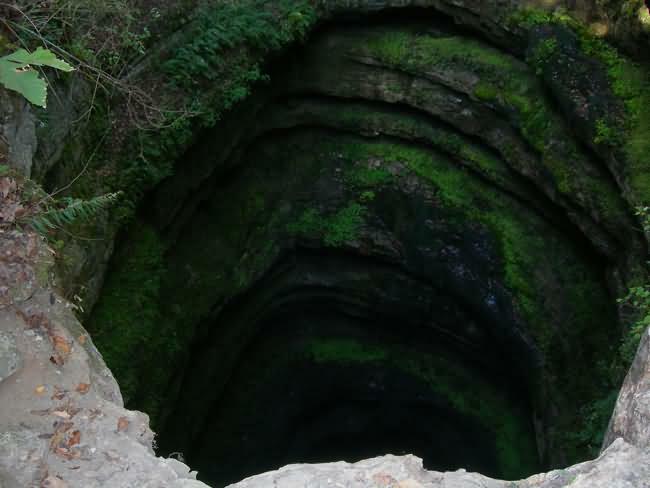 The size and depth of some sinkholes is astounding, from several hundred meters deep to over 100 km across. 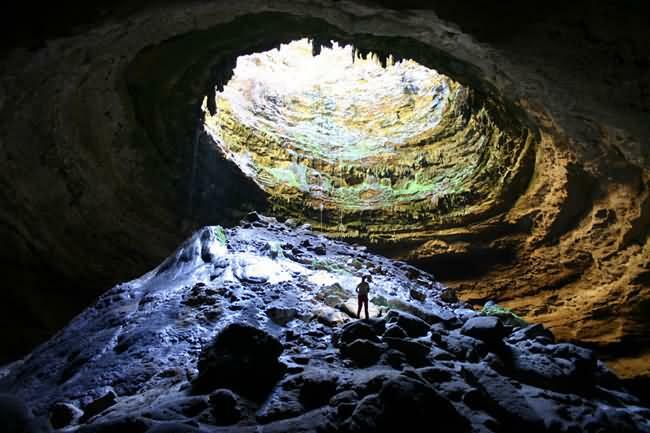 The giant sinkholes of Earth belong to the most impressive natural landmarks. They can form slowly or instantly, making them all the more intimidating. 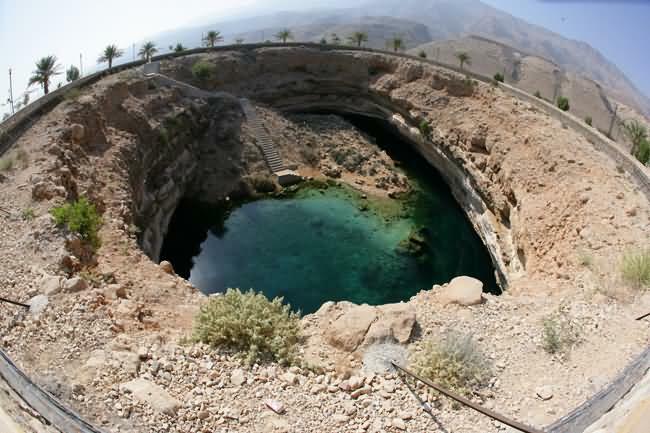 Here are 10 of the most amazing sinkholes across the world. 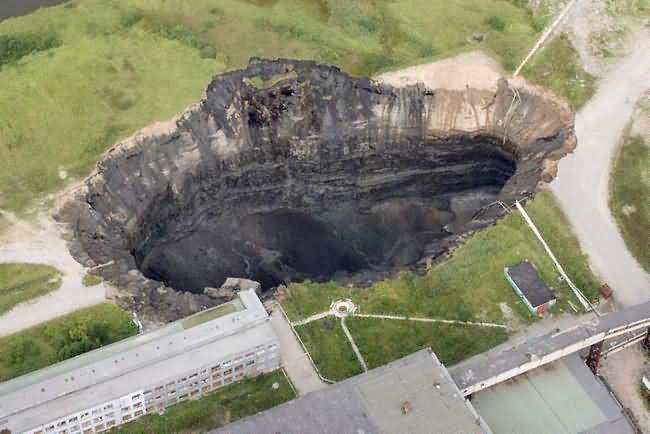 The expanding sinkhole first appeared in 1986 near the town of Berezniki, Russia, when a nearby potash mine flooded and began collapsing. It now threatens to swallow the only rail line and support buildings in the area. 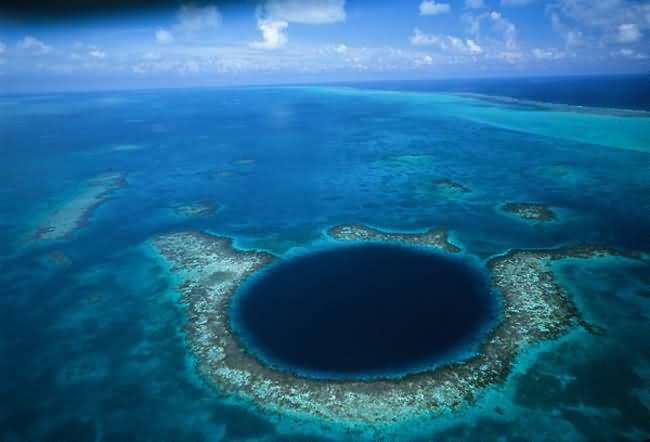 The sinkhole is about 80 meters (m) long, 40 m wide and 200 m deep. 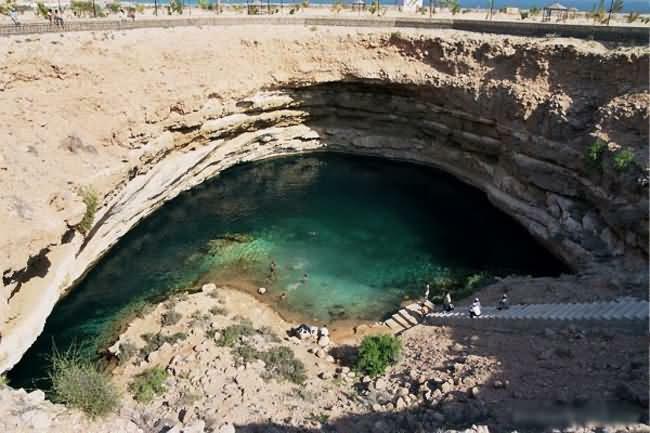 This hole may not be the biggest or deepest, but is globally important because 10% of the world output of potash comes from this area, and the sinkhole threatens production from this critical source. 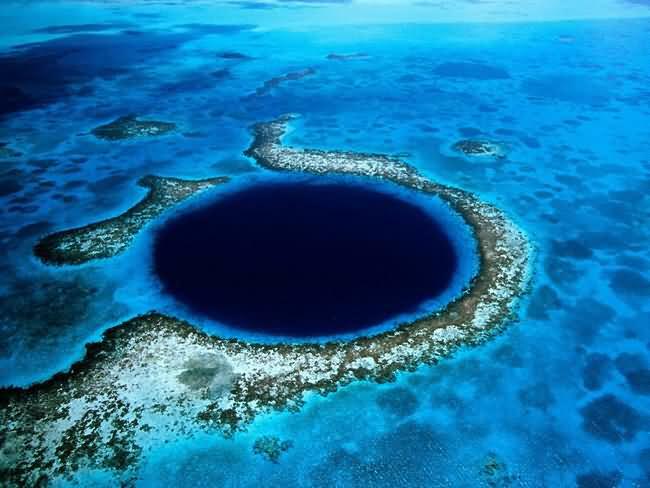 About 97 meters from Belize City, there is a perfectly circular 305 meters across and 123 meters wide deep �Blue Hole.� The hole, part of the Lighthouse Reef system, was once an opening to a cave system during the Ice Age - it is now a magnet for extreme divers. 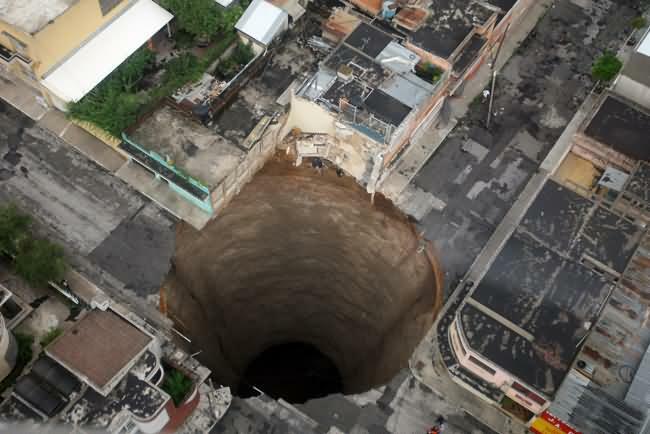 A giant sinkhole that swallowed several homes is seen in Guatemala City Feb. 23, 2007. At least three people have been confirmed missing, officials said. 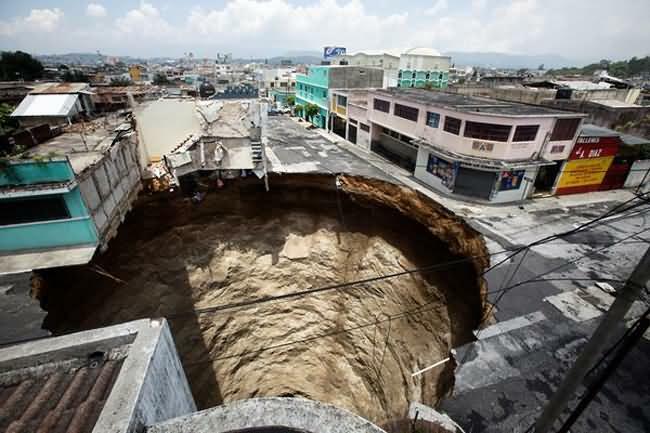 A sinkhole caused caused by tropical storm Agatha at dowtown of Guatemala City on Sunday, May 30, 2010. Torrential rains brought by the first tropical storm of the 2010. 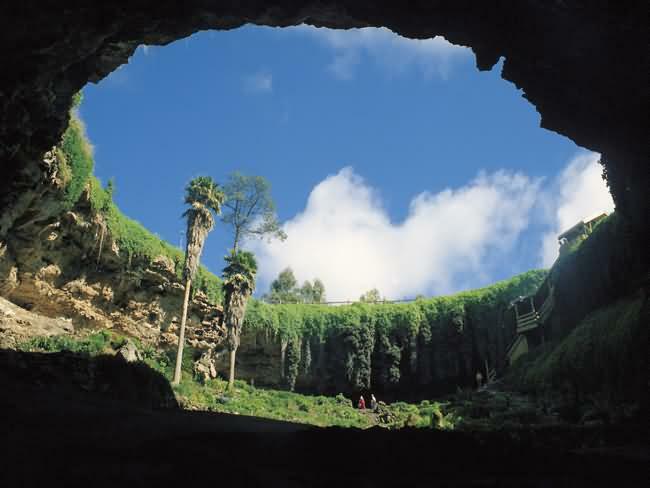 Mount Gambier, the second largest city in South Australia, is defined by many natural features, including a massive network of volcanoes and craters, which form blue lakes filled with artesian water and several large sinkholes. 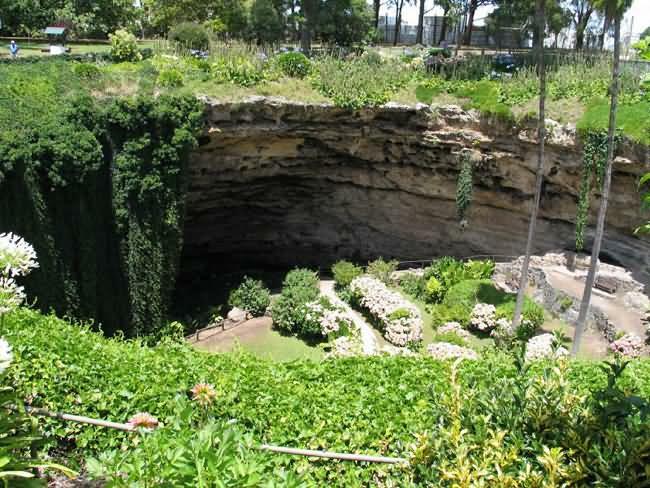 water-filled caves and sinkholes which attract cave divers from around the globe, and such places as Ewens Ponds, Piccaninnie Ponds, Tantanoola Caves, Umpherston Sinkhole, Cave Gardens and Engelbrecht Cave are popular destinations f0r tourists wishing to see and/or play in underwater sinkhole caves. 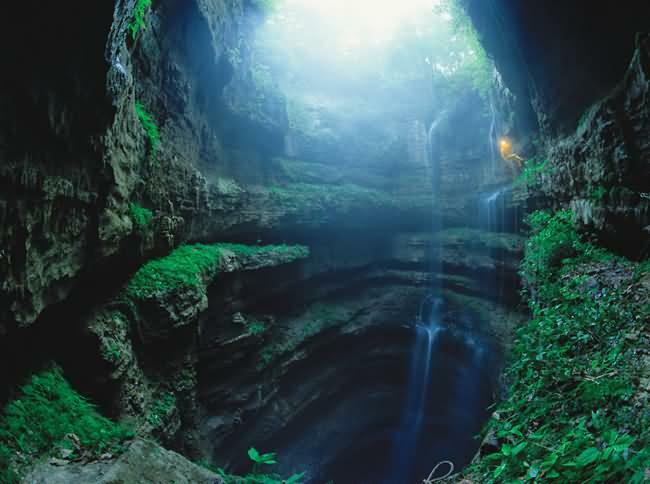 Neversink Pit, a wet limestone sinkhole in Alabama seen above in 1998, is about 15 meters deep and houses a rare species of fern. 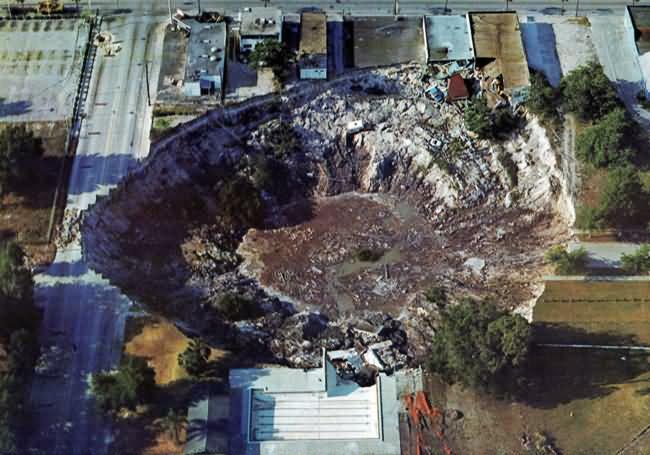 The sinkhole was bought in the 1990s by a group of cavers to preserve it for future generations. 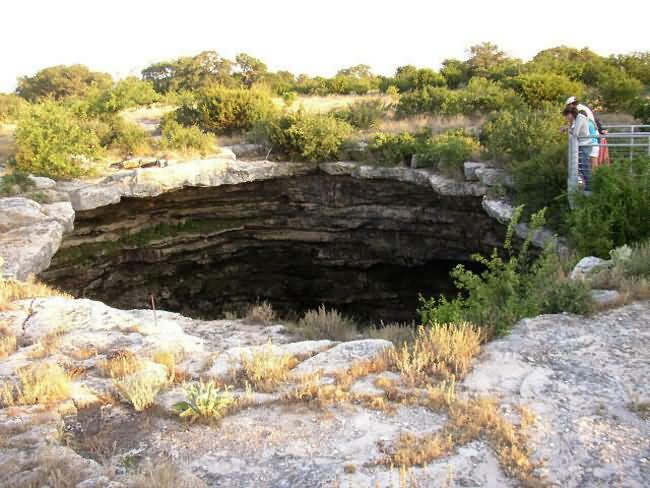 The 400-foot deep Devil's Sinkhole in Texas was first discovered by Anglo settlers in 1867. Today, as a registered National Natural Landmark, the area is protected area by the state and is a well recognized tourism destination, as well as the summer home to as many as four million Mexican Free-tailed Bats. Apparently the bats put on quite a show in the evenings when they leave the cave to forage, and tourists go for this show (Evening Bat Tours) as much as for the wonder of the sink hole itself. Swimmers float in the saphirre waters of the Ik-Kil cenote. The cenote locates in the eco-archeological Park Ik Kil, just 3 km. 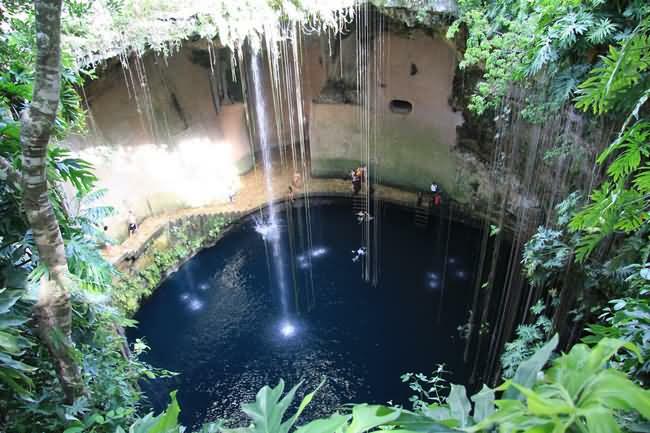 from Chich�n Itz� and Pist� in Mexico's Yucat�n Peninsula.. Called the �Sacred Blue Cenote,� it is a perfectly round well-type cenote with exuberant vegetation and waterfalls. 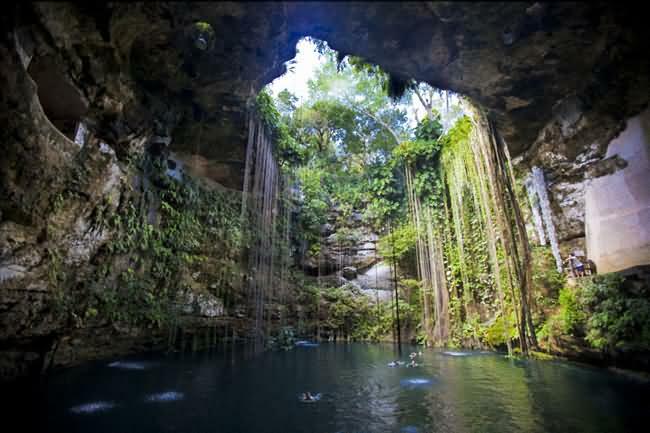 Cenote means �natural well� in Spanish. 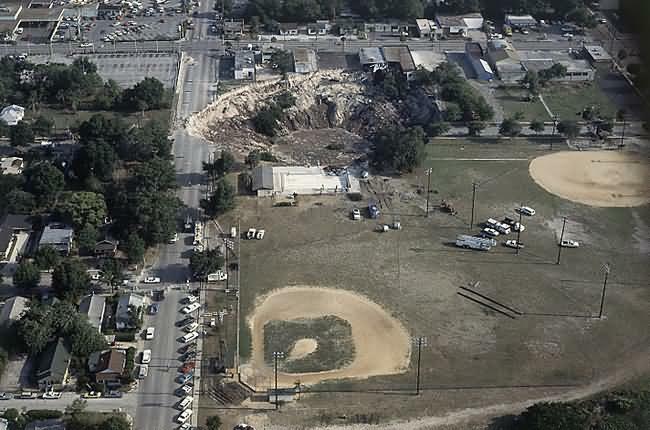 In May 1981, during a period of record-low water levels in Florida's limestone aquifer, a massive sinkhole opened up underneath the city's public swimming pool, which is near the corner of Denning Drive and Fairbanks Avenue. 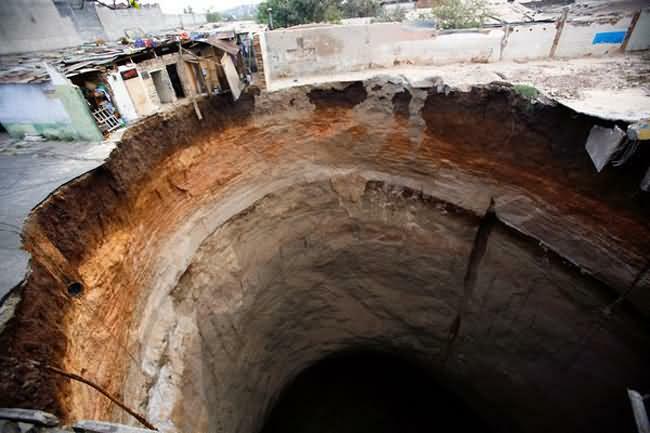 In a single day the hole widened to 98 meters and to a depth of 27 meters, destroying an import car dealership, a public pool, and large portions of Denning Drive. In addition, the sinkhole "ate" an entire two-story home.